Gamecube had many games released, but only a select few are truly worthy to be replayed. Here is an A to Z list of Nintendo Gamecube games you must play! Now, two of the world's fighting giants battle on the Nintendo GameCube system! 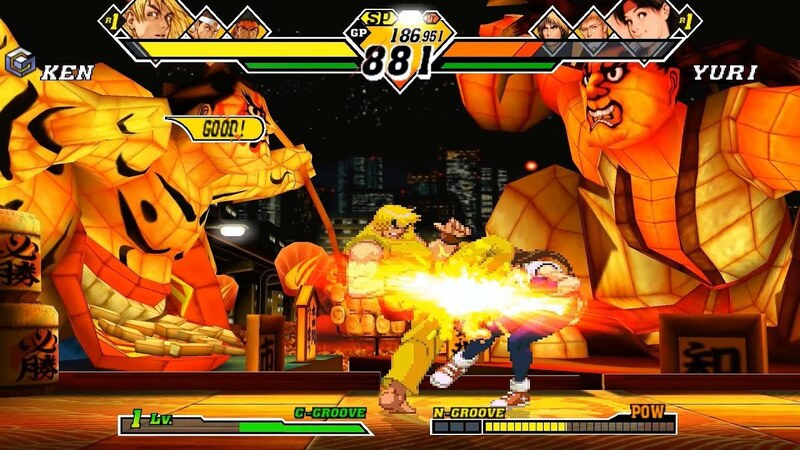 Capcom vs. SNK 2 E.O. 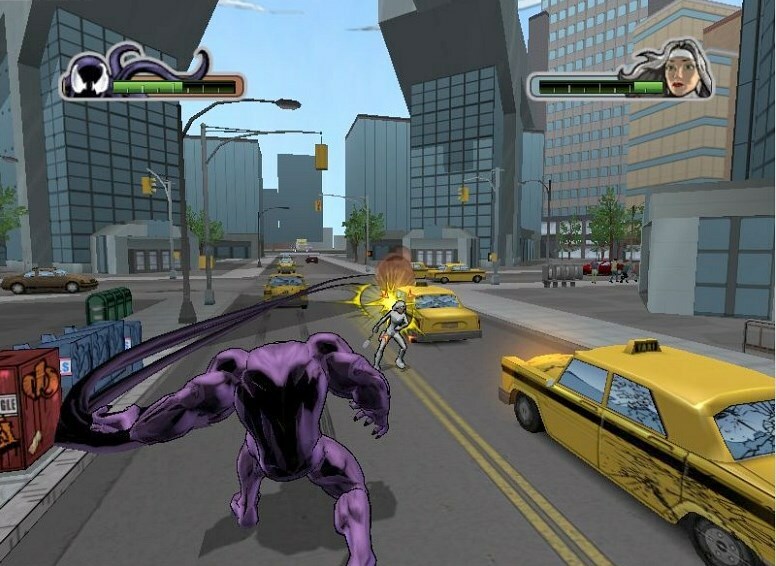 unleashes lightning fast animation and classic arcade fighting action in a collosal slug-fest. Choose from over 44 characters from the Capcom and SNK fighting universes, then customize your character's fighting style with your own favorite "Groove." The all new E.O. mode adds attacks at the touch of a button to deliver devastating combos! 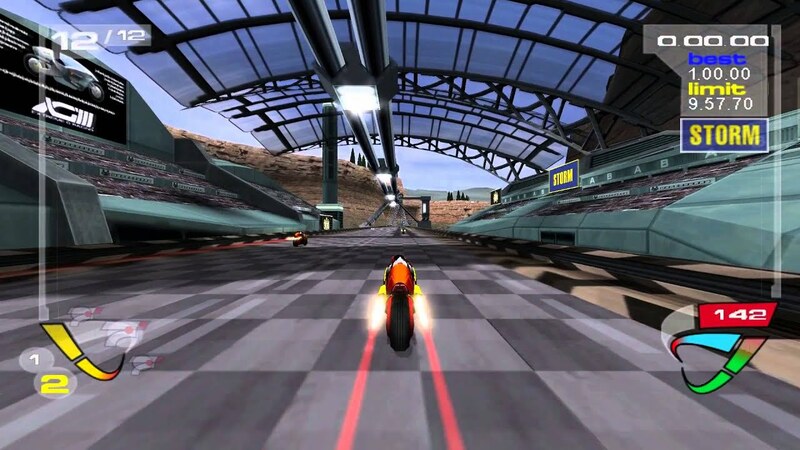 High-speed motorcycle racing and high-stakes futuristic combat collide in X63--an intoxicating, highly addictive arcade experience. Feel every razor sharp turn and roller-coaster drop in the pit of your stomach as you smash through the sound barrier at speeds over 750 mph. Fire Emblem: Path of Radiance brings back to consoles the strategic combat series Fire Emblem from the Game Boy Advance. 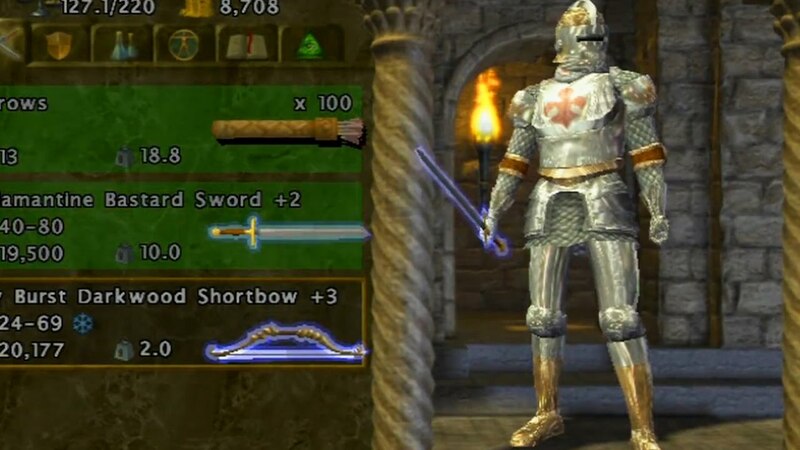 In this installment, you can control units such as knights, mages, and winged creatures, and use their unique fighting styles to win battles and gain experience. 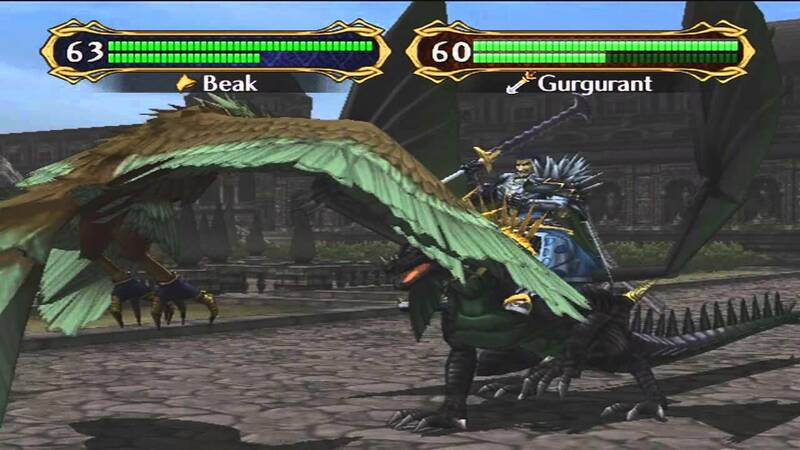 Fire Emblem: Path of Radiance also includes a detailed story that connects the battles and characters together. Gauntlet's hack-and-slash gameplay continues in Gauntlet: Dark Legacy. You and up to three of your friends must work as a team through eight dangerous worlds. As one of eight different characters, you'll vanquish creatures, evade traps, and search for treasure. 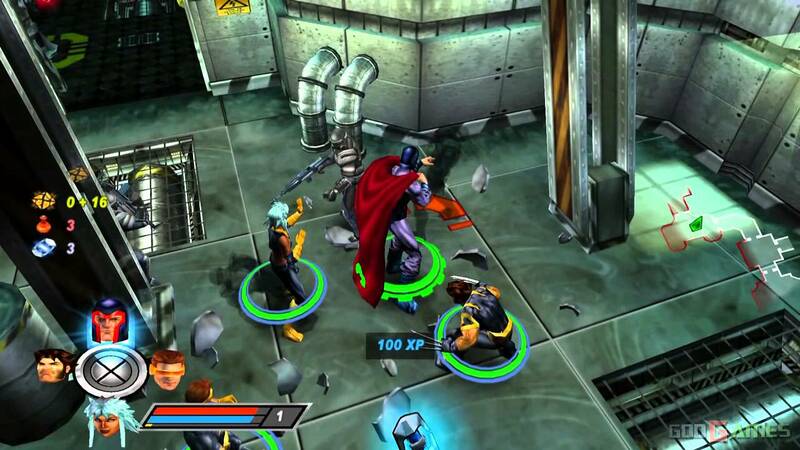 Character-based power attacks, magic potions, new power-ups, and combination moves add to the mayhem. 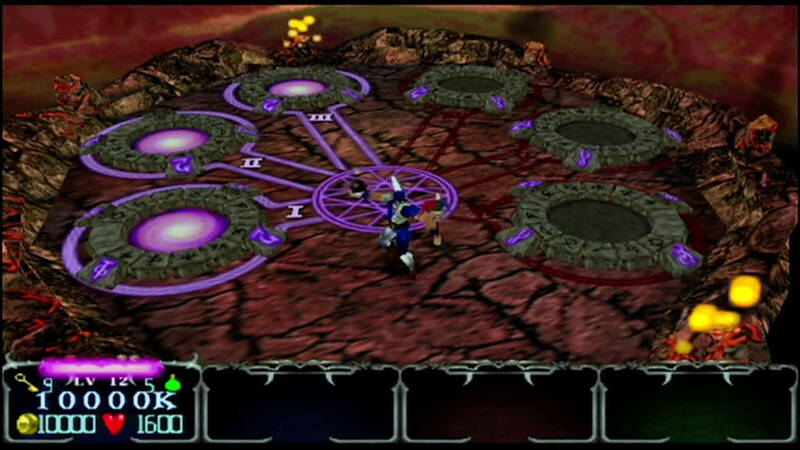 The game save system allows players to transfer evolving characters from their own machine to a friend's to take on the dungeon together. Harvest Moon: Magical Melody features plenty of crops, a variety of animals to care for, tons of festivals to participate in and loads of events to create a fun and entertaining game play experience. Play as either a boy or girl: Each gender has 10 potential spouses. Compete against a rival farmer; Your productivity will be judged on a daily basis against that of your rival's...you will also compete against your rival in the festivals. Cultivate a wide variety of crops and trees. Raise cows, sheep, horses and chickens. 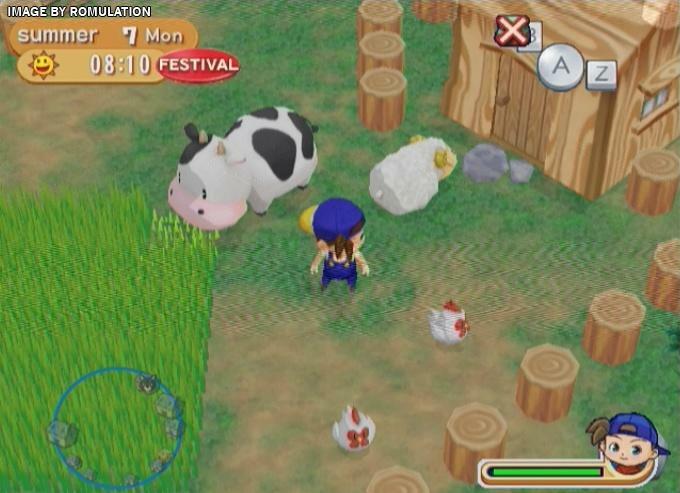 Harvest Moon: Magical Melody offers 4-player minigames. Purchase different plots of land and expand your farm by building various extensions. The Harvest Goddess has turned to stone and the Harvest Sprites need your help to bring her back. You need to collect Musical Notes throughout the game in hopes of restoring her to her former self. There are 100 Musical Notes in the game and to collect the notes you must do a variety of different tasks, such as shipping a certain number of items, winning a festival or making friends with the wild animals found around your farm. Only by collecting a certain number of notes will the Harvest Goddess come back. Battle fiercely, move swiftly, and act cleverly in a space crusade of intense firepower and hypnotic beauty. Take control of the ship Ikaruga--alter your energy field, evade epic maelstroms of fire, and terminate enemies with a devastating arsenal--all to protect an aging, exiled people. Battle the evil Horai by yourself or with a friend. This combination of manga-style storytelling and exciting arcade heroics challenges you to find the calm amid the chaos. Prepare for fast and furious racing action as Kirby hits Warpstar speed. Use simple controls to race and battle your friends in one of three hectic game modes. 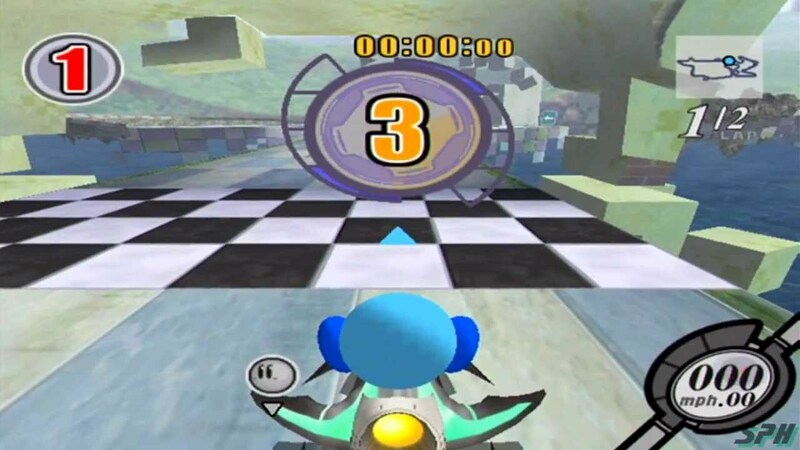 In Air Ride mode, you'll race to the finish line against your friends or computer-controlled competition. Top Ride mode lets up to four players race to the finish line using wild items like buzz saws, drills, and freeze fans to pester the competition. In City Trial mode, you'll race around a gigantic fantasy city in a quest to build the ideal machine to use in a random challenge that occurs after a set time limit. Don't let Kirby's cuteness fool you--Kirby Air Ride is crawling with tough challenges suitable for players of all ages. The Mushroom Kingdom just got a whole lot more hectic as Mario and friends double up for furious kart racing. This time around, each kart holds two racers that can switch places at any time, so choose from a huge cast of favorites and pair them up any way you see fit. 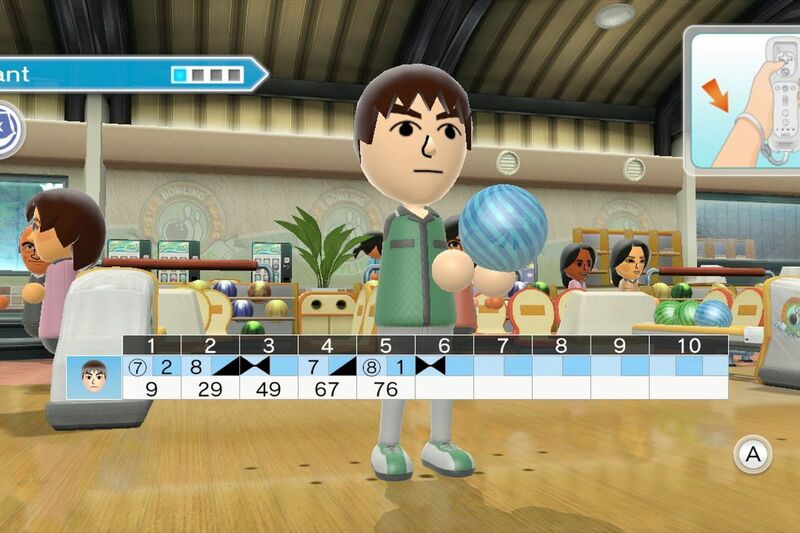 The character in front handles the driving duties, while the character in the rear doles out damage with six normal items and eight special items that only specific characters can use. Get ready for some intense multiplayer mayhem with your favorite characters, including Mario, Luigi, Donkey Kong, Peach, Bowser, and Koopa. Naruto: Clash of Ninja is a 3D fighting game based on the Japanese manga, Naruto. Take control of your favorite Naruto characters, including Naruto, Sasuke, Sakura, and more as you battle it out to determine who the greatest ninja is. Cel-shaded graphics parallel the style set forth in the cartoon, while special character-specific moves add to the feeling of authenticity. One Piece, the popular comic and anime series featured in Shonen Jump, 4KidsTV and Cartoon Network, comes back to the console world with One Piece: Grand Adventure for the GameCube and PlayStation 2. The series features Monkey D. Luffy as an aspiring pirate searching for One Piece, the legendary treasure of King of the Pirates, Gold Roger. 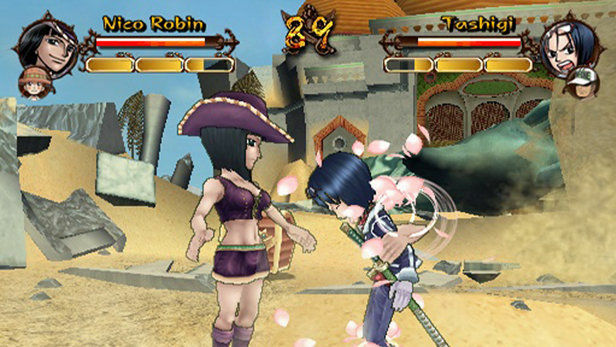 One Piece: Grand Adventure brings back the fun and excitement of the free-moving Vs. Battle action from past One Piece games with exciting new twists. 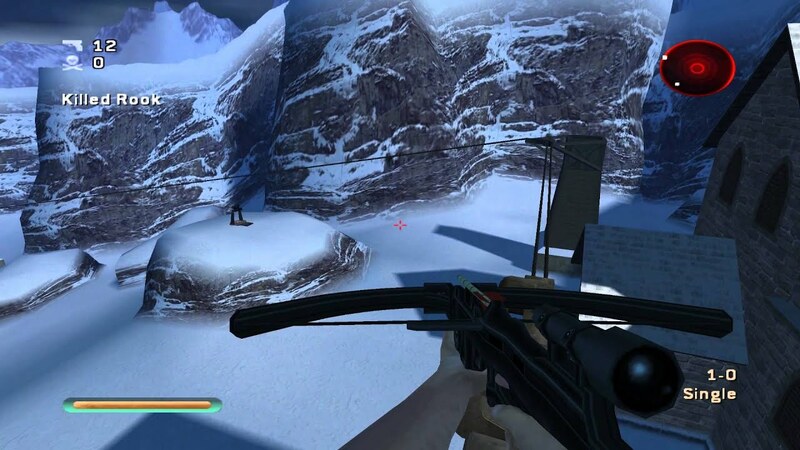 The game also has been completely revamped with the inclusion of an engrossing Adventure Mode, sending players on mini-game filled quests for extended replayability. With the latest main and support characters, new moves and stages, this is the ultimate One Piece game! Pikmin may be small and plantlike, but they can be a space traveler's best friend. 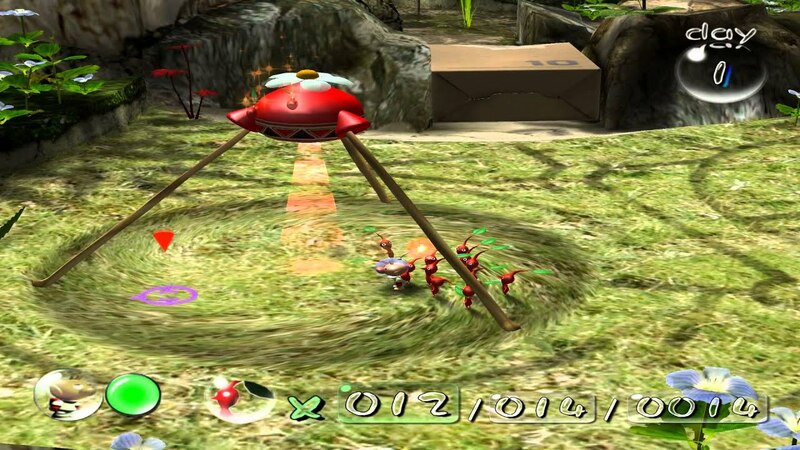 Stranded on an unknown planet, Captain Olimar must enlist the help of these native Pikmin to rebuild his spaceship before the life-support system runs out. 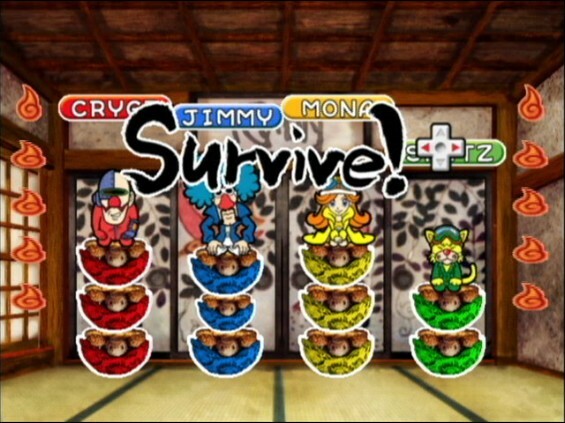 In the meantime, you'll have to fend off attackers and solve various puzzles. To produce additional multicolored Pikmin you must defeat enemies and carry them back to the Pikmin nests called onions. 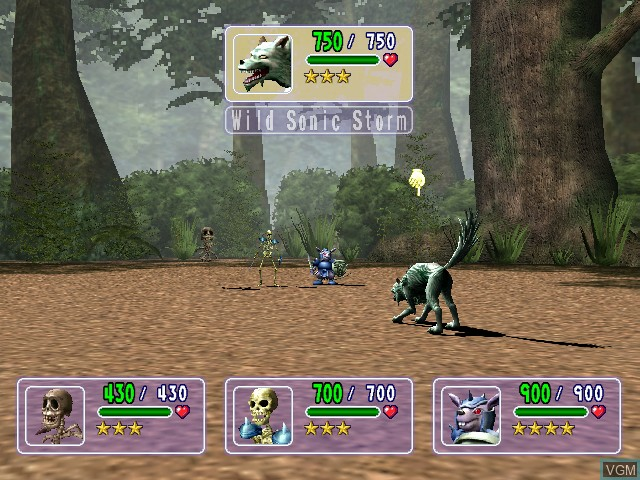 But beware--watching giant predators gobble your Pikmin might make you angrier than you'd expect. Raccoon City. A secluded mountain community, plagued by a storm of vicious attacks, is completely overrun. Mutant beasts, blood-thirsty zombies infest the landscape. You are S.T.A.R.S - Special Tactics and Rescue Squad. 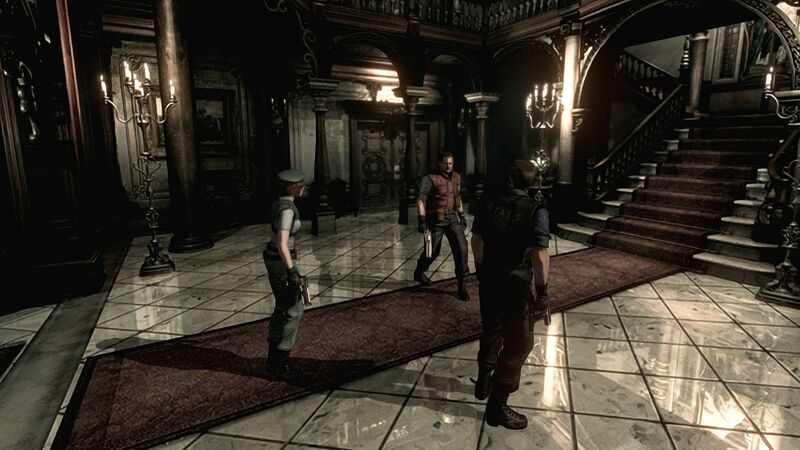 Your mission: investigate the ominous mansion at the core of the horrific disaster. Uncover secrets behind a radical, genetic research facility. With unspeakable horrors lurking around every corner, the ultimate test may be just to make it out alive! Nintendo's all-star cast of combatants is back in Super Smash Bros. Melee, along with a new batch of brawlers ready to tear it up. The sequel to Super Smash Bros. keeps the same basic premise: Characters duke it out in interactive environments, using special attacks and various items to knock each other into the abyss. Some new defensive techniques add an even deeper level of complexity to the combat. In addition to traditional battle royale matches, players can select all-new ways to play like Coin mode and Tournament mode. Joe is no ordinary man and Viewtiful Joe is no ordinary game. Capcom's new superhero action game mixes funky cartoon-style visuals with classic side-scrolling gameplay and introduces the world's quirkiest million dollar action hero. More than just any ordinary dude, Joe must transform into the ultimate superhero. It's up to you to activate the correct view mode like "slow" or "zoom in" in order to clobber your enemies with beautiful style. You can also speed up or slow down your visual effects for even more "viewtiful" moves. Viewtiful Joe mixes an innovative viewpoint with an amazing stunt-filled action movie universe. Wario is back in the video game biz, and this time the tightfisted microgame master is servin' up some insane party games on Nintendo GameCube. 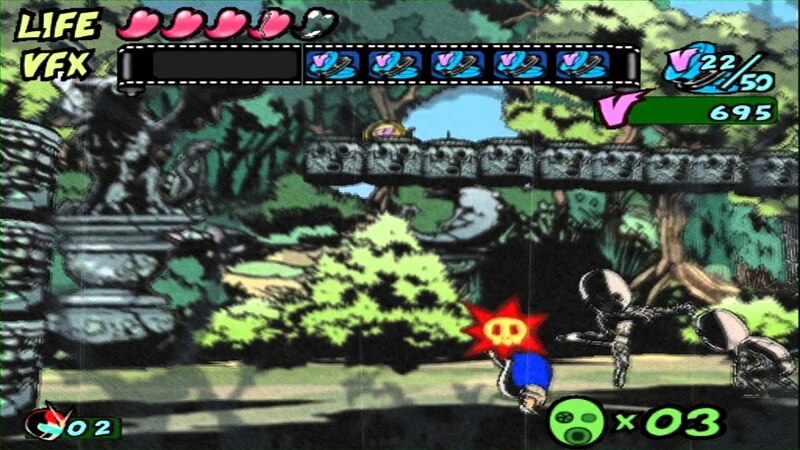 The 200+ hysterical microgames from Wario Ware, Inc.: Mega Microgame$ are making a triumphant return on the big screen, supported by wildly creative multiplayer matches starring Wario's crazy crew of video game developers. Yugi and his friends are trapped in a virtual reality world gone crazy. As Yugi or Kaiba, you must form a team of three monsters to occupy towns across two different scenarios and take part in strategic team battles. Delegate commands to your team to conquer each mission. During battle, your team can perform devastating group attacks and combos. Over 175 monsters from the Yu-Gi-Oh! 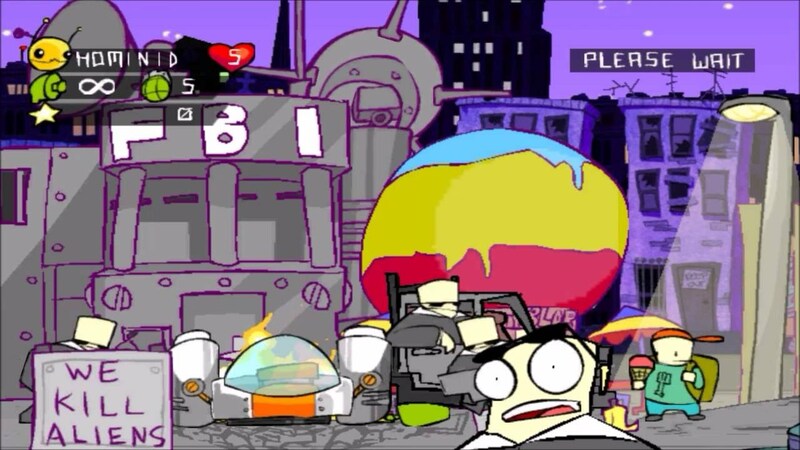 animated TV series appear in the game--and all of them will fight to the finish for control of each map. Take on the role of your favorite character from the popular Japanese animated series and toy line. Create and customize gargantuan Zoids. Carry out dangerous missions. Unleash devastating firepower and destroy enemy forces. Welcome to the world of Zoids. Published by Atari in the US, Zoids: Battle Legends is the English version of 2003's Japanese release Zoids VS. II. 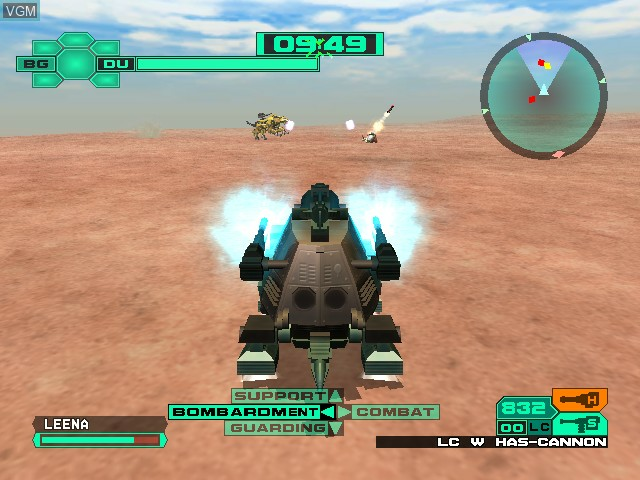 The game features a mission mode in which you fight for the Empire or the Republic in the ongoing story for control of the planet Zi, a battle mode in which you jump right into your favorite Zoid and wage war, a VS. mode that lets to players go head-to-head, and a special fists mode, where players inflict damage by using advanced fighting methods in a confined arena setting.